BestPlaces is thrilled to announce that our data has just been completely refreshed and updated site-wide. Our major categories of demographics, population growth, income distribution, race and ethnicity, education, marital and family status, housing, occupations and industries, employment, and commuting categories are all shiny and new, processed from the 1000+ tables of this year’s edition of the Census Bureau’s American Community Survey. Home prices and rental costs are all updated too, with historical appreciation rates. We’ve also updated our employment and jobs data from the Bureau of Labor Statistics, and have 2019 tax rates for local income, sales, property, real estate transfers, corporations, and automobile registration. Whether you're looking to relocate or just want information on a certain city, now is a great time to use any of our free and informative data tools. Since data is the "bread and butter" of our site, this refresh is a huge deal and we hope you take advantage of it. 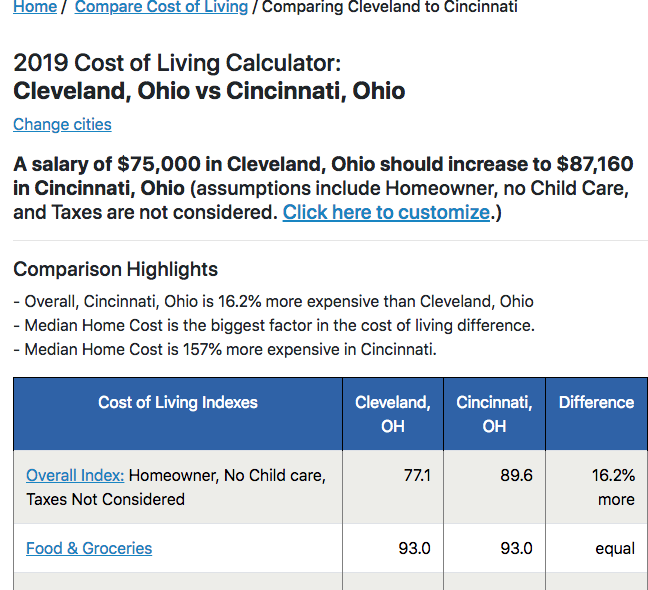 Below is an example of our Compare Cost of Living feature, using a comparison between Cincinnati and Cleveland as an example. Click here or on the image to compare two cities of your choosing. "I'm really pleased to present this big new site update. 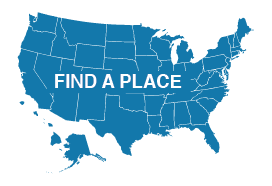 The new data, combined with more new features from our development team, makes BestPlaces the go-to resource for researching and comparing every place in the United States. And be sure to check out our new Premium Cost of Living feature, which now includes detailed data on the local costs of Child Care, Taxes, and renting or buying a house. You've asked for the ability to compare local taxes, so now have tax rates for every city's income, sales, property, real estate transfers, corporations, and automobile registration."